As you already know, this Groundhog doesn’t hibernate! We are busier than beavers in the wintertime, removing snow for our commercial clients. We look forward to seeing all of our residential clients in the spring time, so we encourage them to be safe during the winter season. Last winter, we gave you some tips on driving safely in the snow. This winter, we focus on your home. Accidents happen when things are unexpected. Preparation can avoid disaster and great expense. We hope these few winter home safety tips can prevent that from happening in your home. Winterize outside faucets. Deep freezes can cause any plumbing with water in it to burst. Turn off your outside water and leave the faucet open outside. Flooded basements can cause thousands of dollars’ worth of damage! If you have an irrigation system, make sure it is blown out completely in the fall. Don’t have a landscaper? 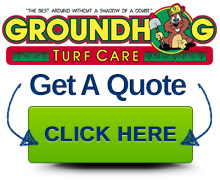 Groundhog Landscaping can help you with that! Keep exhaust vents clear. Exhaust vents from heating systems are often only 24 inches above the ground. If these become plugged, the inhabitants of the home can die of carbon monoxide poisoning. Also, if you smell sewage in your house, it’s possible that the plumbing vent above your roof is frozen. A handful of rock-salt sprinkled down the vent pipe will clear that right up. Maintain a perimeter pathway. Deep snow can make it very difficult for first responders to get at your home in the event of a fire. If you have a snow blower, clear a 3-foot wide path around the perimeter of your home. Also be sure to clear access to fuel tanks so your delivery is not interrupted. 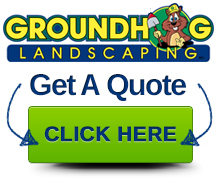 If you do not have a snow blower, Groundhog Landscaping can open up a path for you. Avoid will-call fuel service. It’s best to schedule automatic delivery with your fuel company. Delivery schedules are based on degree-days and consumption rates. It’s surprising how many homeowners have suffered inconvenience and loss by ordering fuel on a will-call basis. If cash flow is a problem, talk to your fuel provider about a payment plan. Get a roof rake! Deep snow and cold weather can cause the snow around the eaves of your home to build up ice dams that, if unattended will cause serious and expensive damage inside your home. All you need to do to prevent ice dams is to pull away 3 feet of snow from the edge of your roof, allowing the sun to warm the roof shingles and melt it. Be storm-ready. Ice storms can knock out power for days. Consider getting a portable backup generator sized properly for your home. You should have an electrician install a subpanel to prevent the power from backing up into the lines. If you don’t have a generator, and you know a storm is coming, have emergency supplies ready: flashlights, blankets, non-perishable food and plenty of bottled water. Fill up your bathtub for flushing toilets. Use flashlights instead of candles to prevent an accidental fire. So…please be safe, enjoy your winter hibernation, and keep a keen eye out for the Groundhog coming in springtime!